The Ryder Cup is a golf competition held every two years at different venues in the USA and Europe. Teams from Europe and USA take part in this competition and it offers plenty of opportunity for online betting. It is named after Samuel Ryder, a businessman who donated the trophy. The Cup is managed by PGA America and Ryder Cup Europe, PGA Britain and Ireland and PGA Europe. The first event was held in 1927 in Massachusetts in the USA between Great Britain and the USA. In 1979 Continental Europe was also included in the competition. The reason for including golfers from Europe was prompted by successful Spanish golfers such as Seve Ballesteros and Antonio Garrido. Europe has won the Ryder Cup ten times since 1979, there was one tied match where Europe kept the cup and America won eight times over this time. The current cup holders are the USA who won in 2016, which took place at Hazeltine National Golf Club in Minnesota. The format of the Ryder Cup begins with match play competitions of players that are chosen from two teams comprised of 12 each. The Ryder Cup takes place from a Friday through to Sunday with 28 matches being played overall. All of the matches have 18 holes. On the Friday and Saturday four fourball (competitions between two teams comprised of two golfers and each of the four golfers use their own ball) and four foursome (competition between two teams comprised of two golfers where the golfers take alternating shots) matches are held each day with four matches in both the morning and afternoon. On the Sunday 12 single matches take place and all of the team members take part. It is not necessary for all of the team members to play on the Friday and Saturday. The captain of each team will choose any eight players to play on Friday and Saturday. Each match winner will receive a point for their team and half a point if there is a tie. The team that wins is determined by the total points. If there is a tie, if each team has 14 points, the Cup is kept by the team who was in possession of it before the contest. The players who have the better score out of the two on the team is the score that is used. Every hole is won by whichever team has the lowest score. Over the years the format of the Cup has changed. When it started it was initially played over two days with 36 holes and from 1961 the format was changed to 18 holes and the amount of matches was doubled. From 1963 the format was changed and the Cup was held over three days and the fourball matches were included. In 1979 with the inclusion of the European players the format was changed to the format used today. In 2010 the Cup was changed to include a fourth day. 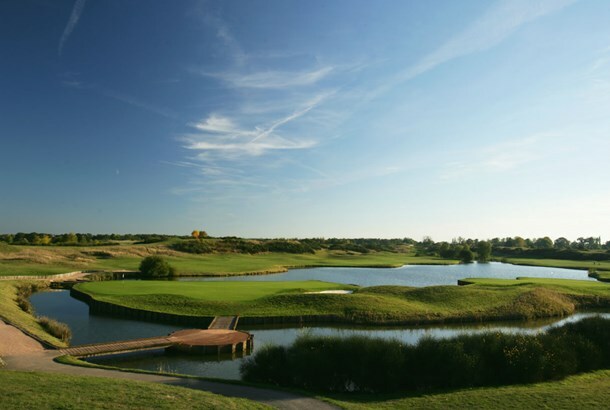 The next Ryder Cup is to be held at the Le Golf National, Paris France from 25 to 30 September 2018.